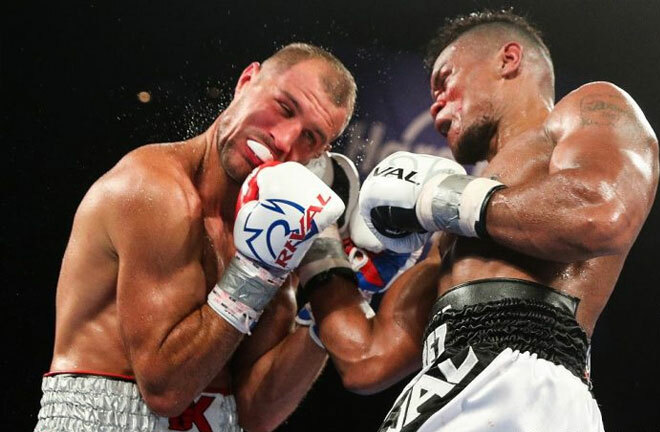 At the Ford Centre in Texas, it proved to be revenge for a radically changed Sergey Kovalev, as he regained the WBO Light Heavyweight Title with an impressive victory over Eleider Alvarez in their rematch on Saturday night. Alvarez pulled off one of the shocks of 2018, as he knocked Kovalev out in seven rounds just months earlier, in August 2018. Kovalev boxed to order rather than using his usual bully boy tactics in a dominant display. It was a tentative start from both, with a left to the body from Alvarez the only real highlight. Kovalev, under new trainer Buddy McGirt went on the attack in the second, and was impressive getting in and out with his assaults, an overhand right landed in another otherwise quiet session. Canadian based Columbian Alvarez finally came out of his shell in the third, with solid jabs finding a home, as he looked to assert some authority. There was more meat on the Russian’s punches in the fourth as left and right hooks were hitting the target to the head. Kovalev was boxing very well, putting his punches together in smart bursts, landing with whipping hooks to the ear area of Alvarez with regularity. Alvarez was boxing at range and looking to counter, but struggling to make a breakthrough. 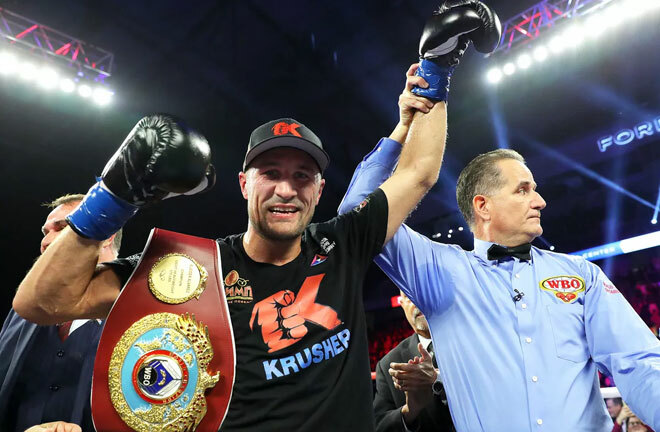 A right hand over the top stunned “Krusher” Kovalev at the start of the sixth, but he recovered quickly enough, boxing patiently to regain control. It looked like Alvarez was banking on a repeat of the knockout win in their first meeting. In the seventh, a couple of body shots from Alvarez hit the mark , but Kovalev again kept disciplined, banking another round. The pattern continued going into the eighth, Alvarez chasing, and Kovalev boxing to instruction, although an overhand right from Alvarez landed. Kovalev had to be on his mettle throughout, and was boxing with confidence, landing and not getting in any major trouble through the ninth. Going into the Championship rounds, Kovalev had to have a big lead, with knockdowns seemingly already required for the Champion. He was boxing beautifully, and to instruction from McGirt. Gone was the playground bully, and a smart boxer was installed in his place, hitting and not getting hit. Alvarez looked a different fighter from the one that ripped the Title away from Kovalev in 2018, but tried to up the tempo in the eleventh, and landed with a hard right hand. It looked like the Columbian knew he had to do something special to keep his belt, and arguably he won his first round for some time. McGirt instructed caution from his charge ahead of the last round. 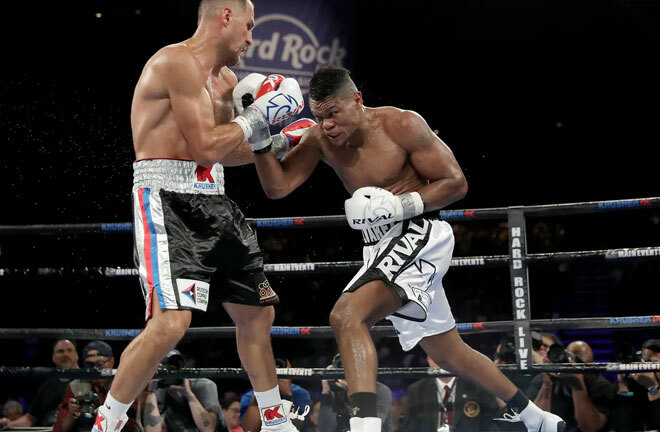 Kovalev jolted Alvarez’s head back with a left hand, and his shot selection was again impressive, as it had been throughout. The result was academic, with a 120-108 verdict, and two lots of 116-112, crowning Kovalev WBO Champion for the third time.